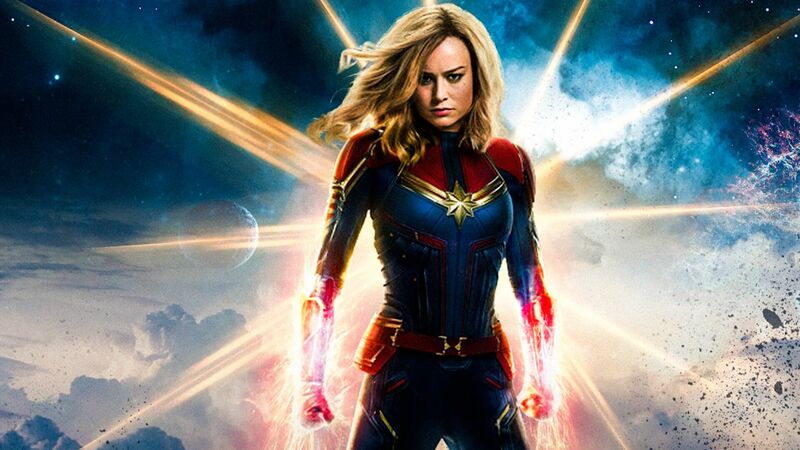 In first seeing the trailer for “Captain Marvel,” we were thrilled to hear of another powerful female lead in the male-dominated space of superhero movies! Yes, “Wonder Woman” was inspiring but the world can surely handle more than one female superhero. Out of Marvel’s 21 superhero movies, Captain Marvel is the first one with a female protagonist. The distributor has given us strong female characters in “Black Widow,” “Valkyrie,” “Shuri,” “Wanda,” “Gamora,” and “The Wasp,” but all were supporting roles to the main (male) heroes. So we celebrate “Carol Danvers” (aka Captain Marvel, played by Brie Larson). That said, we do have to note that Carol unquestionably looks like media’s typical “perfect girl: thin, blond, white, flawless, etc. (Yes, male superheroes fill media’s unattainable physical standards.) Could Carol’s idealized looks do more damage than good for girls? Wherever you land, we can celebrate that the film has just become one of the highest grossing movies with a female lead ever! The film, fun and empowering, also provides a wonderful opportunity to talk to your daughter about what it’s like to be a girl in a male-dominated world. We hope you’ll take the girl(s) in your life to see it, and then ask her some or all of our questions below to spark conversation (warning: there will be some spoilers). 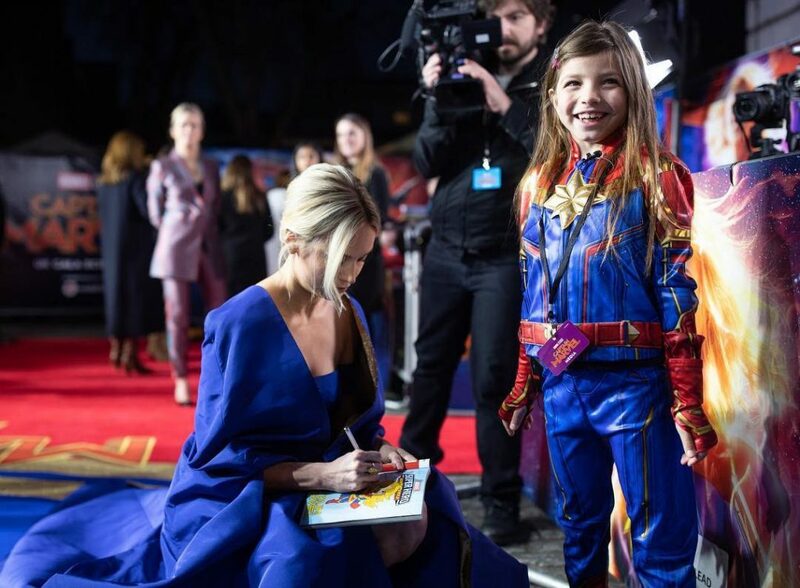 Bonus discussion point: At the red carpet premiere of Captain Marvel, a little girl dressed as Carol Danvers interviewed Brie Larson. The girl asks Larson what her powers are, and Larson responds with some relatable, every day powers (she can eat really hot food and fall asleep on airplanes!). Larson then asks the girl what her powers are, and she insisted that she doesn’t have anyway. After a push from Larson, the girl says that she is really strong. Larson tells her that as she gets older, she’ll gain more superpowers, big and small. In doing so, Larson assures the young girl (and young girls everywhere) that your superpower doesn’t have to be electric fists, flight, or super strength. It can be as simple as being good at soccer, multiplication, drawing, giving your friends advice, etc. So finally, ask your daughter, what are your superpowers?